Call NMAC at 814.623.1588 to order. Payment can be cash, check, or credit card. 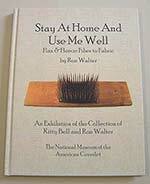 of catalogs from past exhibitions. 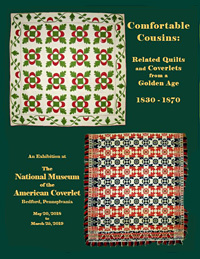 of every coverlet (generally 90 to 100) in that particular exhibition. 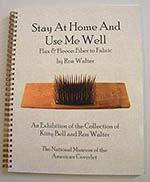 These high quality, permanent reference books make important additions to the library of anyone who likes coverlets. Now is the time to grab a copy (or two) of any you may have missed. And of course there is a 10% discount for Museum members. Get ‘em now while they last! is now available. Order yours now! 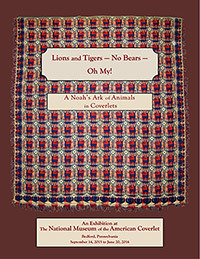 – No Bears - Oh My! 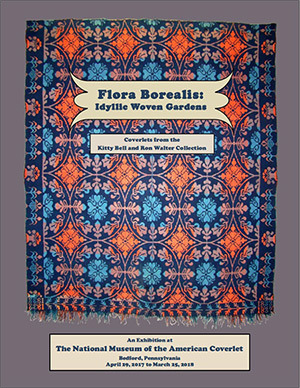 First published in 2005 as the catalog for an exhibition presented in Cumberland, Maryland by Melinda & Laszlo Zongor, this book illustrates 61 coverlets, nearly all of which are now in the NMAC permanent collection. A special section, The Basics, offers brief descriptions of figured and geometric coverlets, pattern types, origins and makers, weave structures, and more. 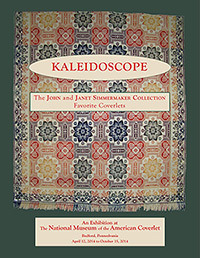 This popular little book is especially helpful for folks who are new to coverlets and want a quick, plain language explanation of what it is they're looking at. Newly reprinted in full color on high quality glossy paper, this third edition includes some new attributions, a new update page, and several editorial improvements for clarity. 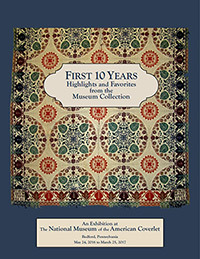 The catalog for the NMAC exhibition of the same name, this full-color reference contains approximately 400 illustrations of coverlets, spinning and weaving tools and implements, period clothing and household textiles, many of which are signed and/or attributed. 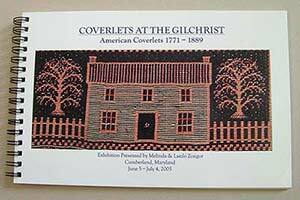 Excerpts from the diaries of Oliver Harris (1780-1845) of New Market Township, OH, and his second wife, Mary Kezer Harris (1776-1854) offer a bird’s eye view of day-to-day life and textile production from 1802 to 1841. 8-1/2” x 11” – 125 p.p.